I thought to try my hand at watercolour painting, so ordered a pack of watercolour card. 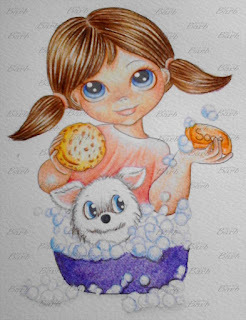 The watercolour painting was a fail, I now see many hours ahead of watching youtube vids to learn how to! 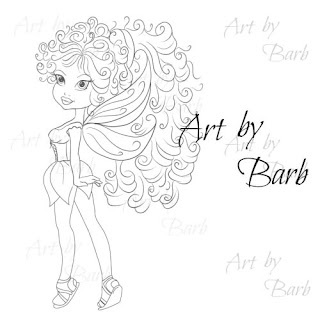 Visit Art by Barb for the lineart of this coloured image, to view more original lineart and the free fairy is still available.